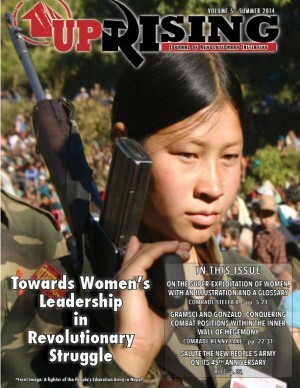 In this issue of UPRISING, we continue the discussion and debate around revolutionary strategy, particularly as concerns imperialist countries. Available for download in PDF now. Click image. 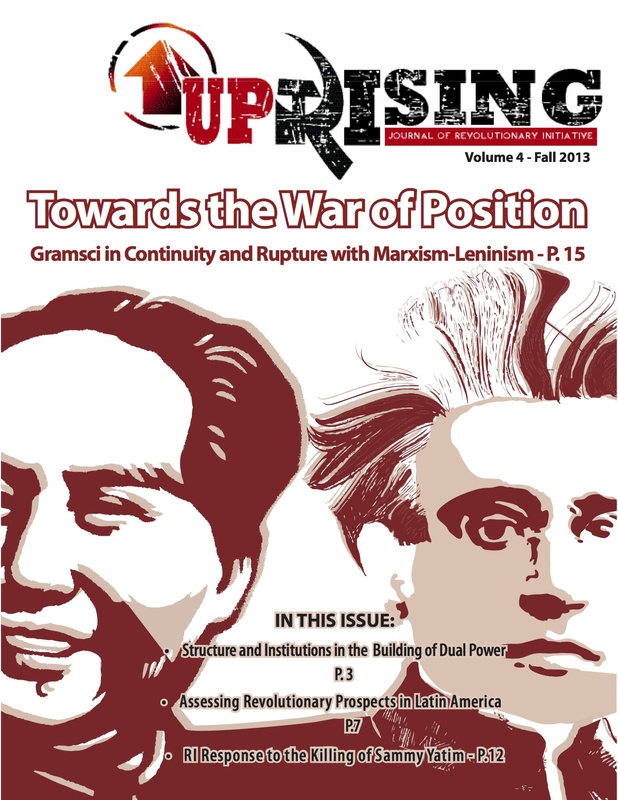 From this, Comrade Amil raises Gramsci’s ‘war of position’ as being similar to the concept of a protracted revolutionary struggle – what many Maoists in the world today are calling ‘Protracted People’s War’ articulated for imperialist countries. Within the ‘war of position’, communists must accumulate forces and wage struggle to challenge bourgeois hegemony, breaking the hold of the ruling class over the popular masses. Understanding that a ‘war of position’ will lead to opening for a ‘war of maneuver’, that is, an opportunity where insurrection could be realized successfully. 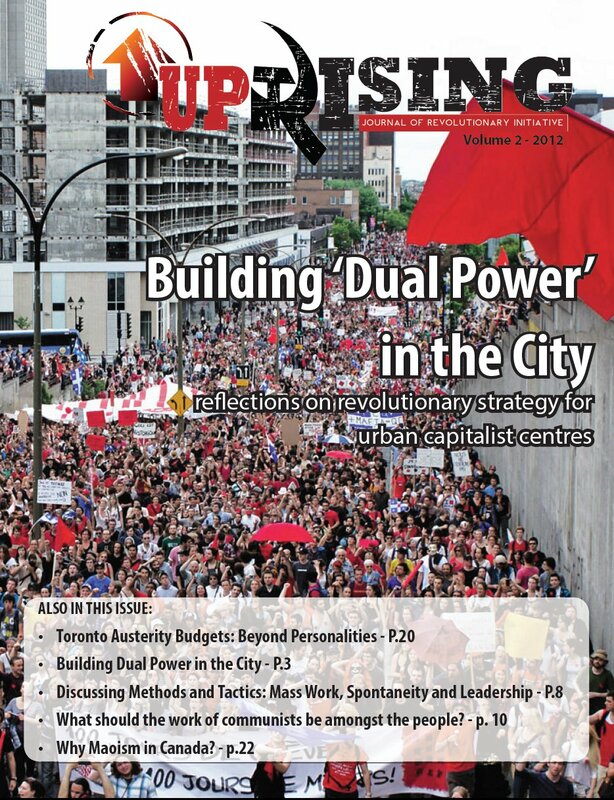 Comrade Azaad’s piece looks to dissect the terminology used previously in articles relating to the building of dual power, which relates considerably to the interrogation of Gramsci. It is essential to arrive at unified understandings of terms such as ‘institution’ or ‘structure’ when discussing dual power, and understanding how a revolutionary proletarian institution differs from a bourgeois one. In Latin America, there are currently a number of places where popular, political processes in development. In Venezuela, for example the Bolivarian revolution has raised the ire of US imperialism but it has also generated much debate among left currents and tendencies, many who attempt to validate their general political perspectives through either overly rosy or utterly dismissive appraisals of the Bolivarian process. Needless to say, both of these miss the mark. Comrade Victor looks at two of the processes in order to situate revolutionary currents within them as well as their perspectives and projects. Rather than simply analyzing the players in government, this piece stresses what advanced people’s movements are doing and how they are relating to the state-led aspect of these processes. 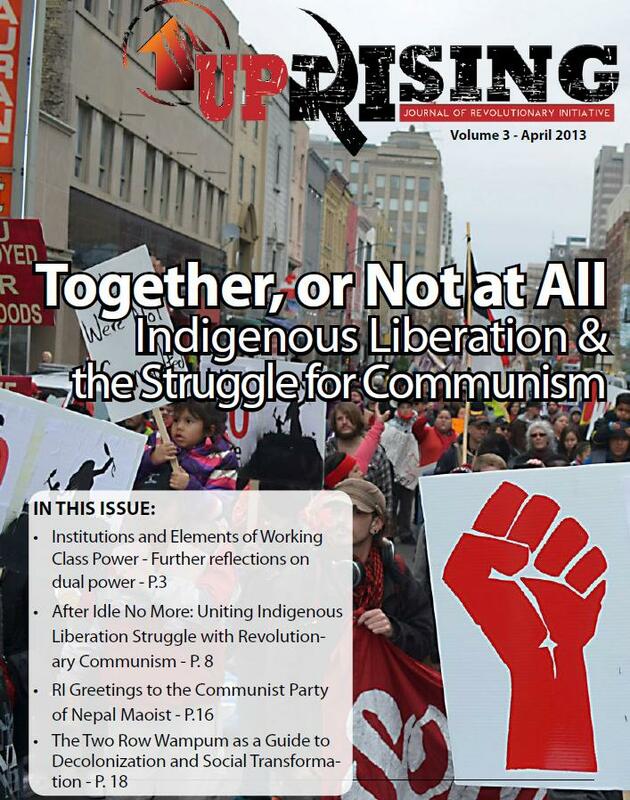 While contradictions are sharpening daily, there are important initiatives within the Bolivarian movements in Latin America that the masses are advancing which deserve consideration and support from revolutionary communists. 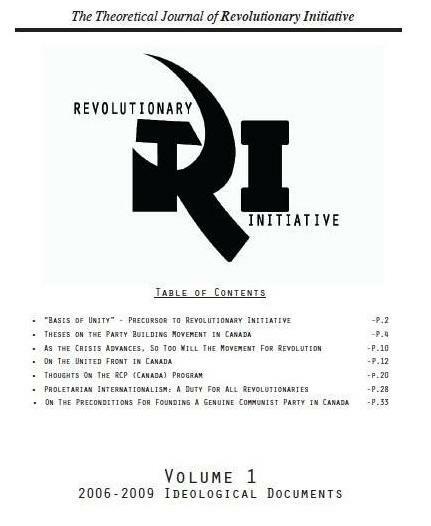 Resituated to the context of Canada, we are republishing the statement made by the Central Committee of Revolutionary Initiative on the murder of an 18-year-old Sammy Yatim by Toronto Police in the summer of 2013. The incident, caught on video and circulated widely over social media, provoked indignation and outrage from a considerable swath of society. What this incident revealed, beyond the brutal and abhorrent nature of the police institution in Canada, is the latent anger and distrust that considerable numbers have towards institutions like the police. This is a site where rupture could occur. Certainly, when we talk about strategy, we need to realize that we have an strong adversary and that they have their relative strengths but also weaknesses. If we study them, we can pick up on what their patterns, behaviours and sources of maintaining power and direct our resources accordingly. Unlike a chess game, where each side has the same number of resources and there are rules of engagement, we are in a struggle against an enemy who has considerably more resources of a certain type and who tries to set and change the rules to his advantage. Only through appropriate strategy, one that seeks to build and concentrate our forces upon our relative strengths through protracted struggle, can we have hope of victory. In this vein, we welcome and encourage feedback on these articles and in general, the strategy we need to employ in order to triumph.